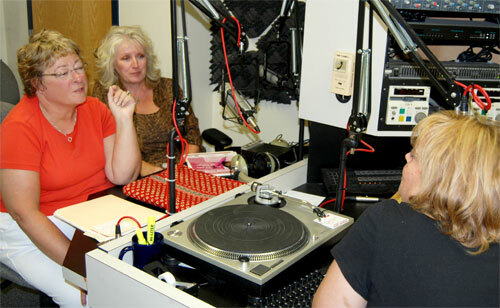 Francine's Friends: What's the Buzz? Carrie Ann! What's the Buzz? Carrie Ann! 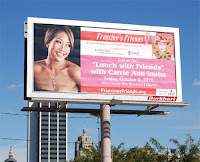 Ads and PSA are running, billboards are up, e-vites and regular invites are mailing, and the word is out — on October 8th, the Memorial Coliseum is THE place to be — to welcome Carrie Ann Inaba to "Lunch with Friends, our 6th annual fundraiser to benefit mobile mammography. "We're expecting a record attendance this year because of the excitement generated over Carrie Ann," explained board president Sharon Simmons. In addition to table captains hosting tables of 10, single tickets are also available. "We couldn't do the event without our wonderful sponsors," continued Simmons. "Because of their support and generosity, including an "underwriting angel" this year who covered the fee for Carrie Ann, all event proceeds will go to cover the cost of screening mammography on the coach." Sponsors to date include presenting sponsor PHP Foundation, Radiation Oncology Associates, Vera Bradley, Fort Wayne Medical Oncology, SDI, Women's Health Advantage, Indiana Surgical Specialist, OmniSource, Barbara's New Beginnings, and Emley Design Group. 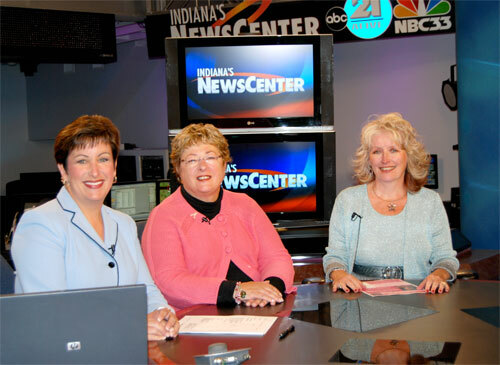 Media sponsors include Indiana News Center and Fun 101.7 WLDE, and you may have already seen or heard radio and TV spots, including interviews with both WLDE's Carrie Wellman and Indiana News Center's Linda Jackson. 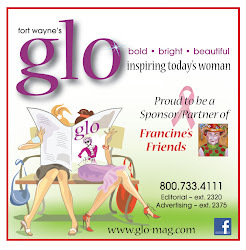 Both have been long-time supporters of Francine's Friends, and this year, join us officially as event sponsors. In addition to the Oct. 8th luncheon at the Memorial Coliseum, there will also be a Special VIP Event on Thursday Oct. 7, 2010, from 6:00-8:00 pm at the Fort Wayne Country Club. Our VIP “meet and greet” will include photo opts and a chance to visit with with Carrie Ann Inaba and "Friends" and more. This pre-event evening is one you won't want to miss! A limited amount of tickets are available for $100 per person. Tickets for the Oct. 8th luncheon are $75 and still available. For information on either, contact board member Jeanne Garton (625-3532 or email: jeannegarton@aol.com). Be a 2010 Bosom Buddie!